In her iconic red dress, hand on hip, ready to dish our entertainment or sass depending on her mood, this Betty Boop will shimmy her way right into your heart! 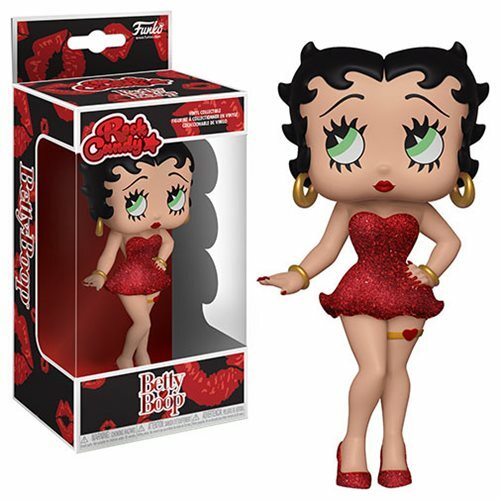 This Betty Boop Rock Candy Vinyl Figure measures approximately 5-inches tall. Comes packaged in a window display box. Ages 3 and up.